Dragging yourself to the grocery store every week to do your shopping has to be one of the most dreadful tasks. But finally, the days of fighting for a parking spot, battling carts as you trudge through the store, and endlessly waiting in the checkout line are long gone. Recently, several grocery stores in the U.S. have started implementing online delivery services where customers can pick out their items on a website and have them delivered to their doorstep. For some supermarkets, the delivery service is provided by the stores themselves, but others use a grocery delivery service to transport the food to your home. The most popular one of these outsourced services is Instacart, which is available to use through their website or can be downloaded as an app that is available for Apple and Android products. There are a ton of grocery services like Instacart available in cities already including Atlanta, Chicago, New York, Philadelphia, Seattle, and many more as they are constantly expanding. Although this luxury is not available everywhere, the grocery delivery business has been booming recently and is expected to be brought to many more cities in the U.S. in the following years. For now, check out this list to see if any of these grocery stores currently deliver to your area. Safeway is a grocery store that is mainly located in the Western part of the U.S., though they do have a few stores in the Mid-Atlantic region. Safeway offers same day delivery by ordering either online or through an app that has the same features as the website but with the convenience of being able to order groceries anywhere. 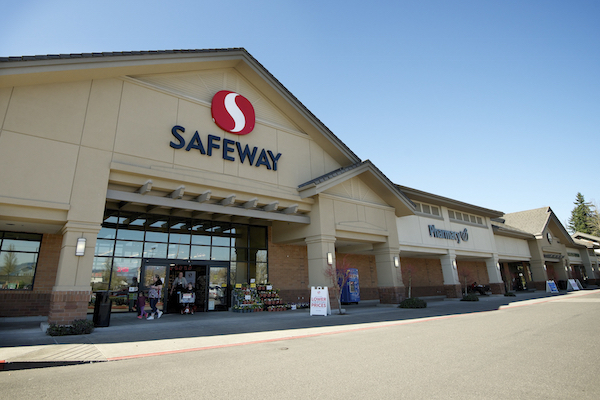 Though many grocery stores deliver through other services, Safeway is one of the few that have their own delivery service. Visit Safeway’s website to see if they’ll deliver to your area. 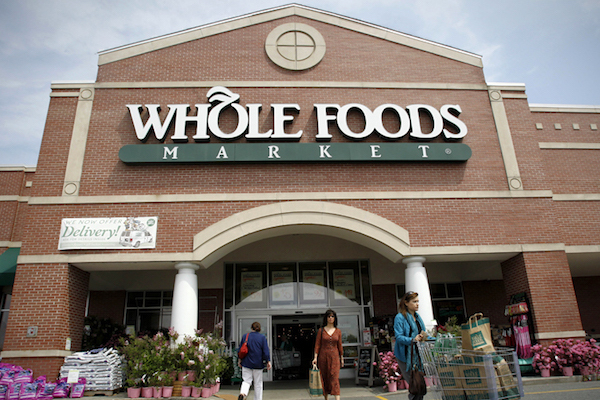 For anyone who is a die-hard Whole Foods shopper, this is extremely exciting news. 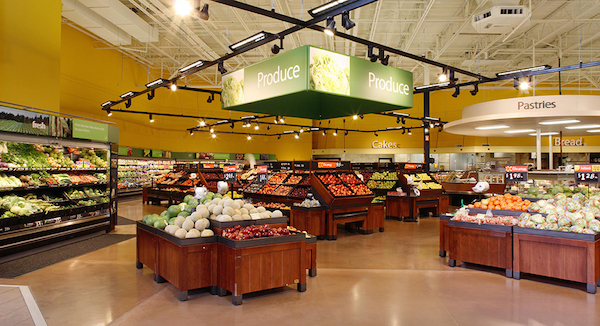 Whole Foods is now offering groceries delivered in one hour through Instacart. With prices being the same as they are in store and Instacart delivery starting at just $5.99, there hasn’t been news this exciting since gluten-free pizza was invented. Find out more about this service here. Walmart has recently introduced Walmart Grocery as a pickup and delivery service that allows customers to place orders online and either pickup their items for free or have them delivered to their home for a fee. Right now, their pickup service is available in more markets than delivery, so make sure to check and see if Walmart is offering these conveniences in your area by visiting their website. For anyone who lives in Virginia, South Carolina, North Carolina, or Maryland, you’re probably familiar with Harris Teeter. However, it may be news for you to know that they now provide pickup and delivery through their Express Lane online shopping service. Harris Teeter has now facilitated the grueling process of buying groceries by implementing this new feature which should make all of you east coasters very excited. 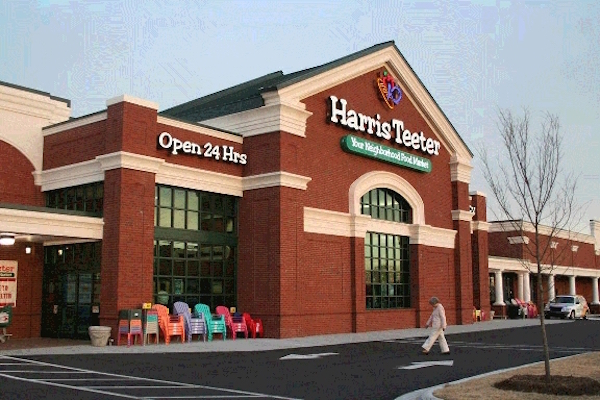 See if Harris Teeter will delivery groceries to you by entering your zip code on their website. 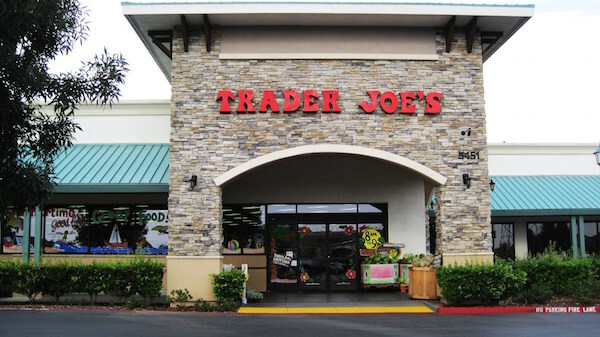 Praise the lord, Trader Joe’s is now available for delivery. TJ’s does’t offer its own delivery service yet, but you can order food online and have it delivered through services like Postmates, Envoy, and DoorDash in many cities throughout the country. Now you can get all the cookie butter you want, whenever you want. Costco is now providing delivery on-demand through Instacart, and the best part is, you don’t even have to have a Costco membership to use this service. Get all the bulk food you want with this new feature. Did I mention that your food will arrive within an hour? Yeah, this is pretty awesome. 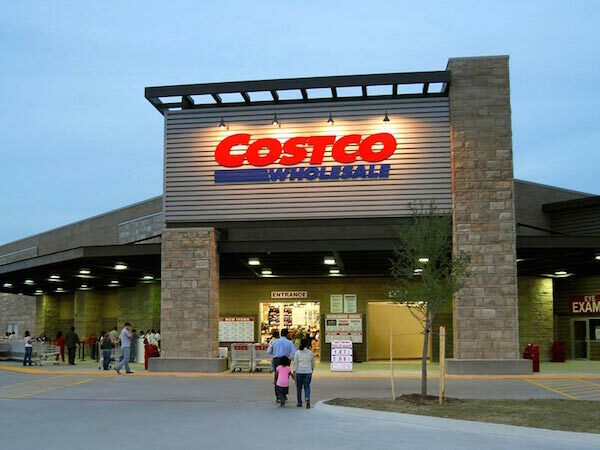 Click here to see if Costco is delivering in your area. 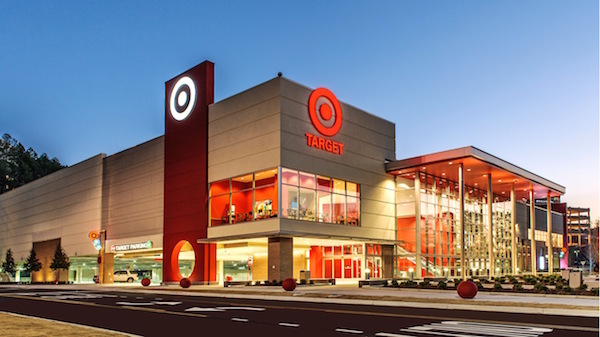 Now available in some markets in California, Illinois, and Minnesota, Target has entered the delivery world with their partnership with Instacart to bring their products to you in the easiest way possible. They assure that the products will available for the same price, on average, through delivery as they are at your local store. With Target being one of my favorite places to shop, I’m excited to see more expansion of their delivery feature in the future. Check out Target’s Instacart page here. 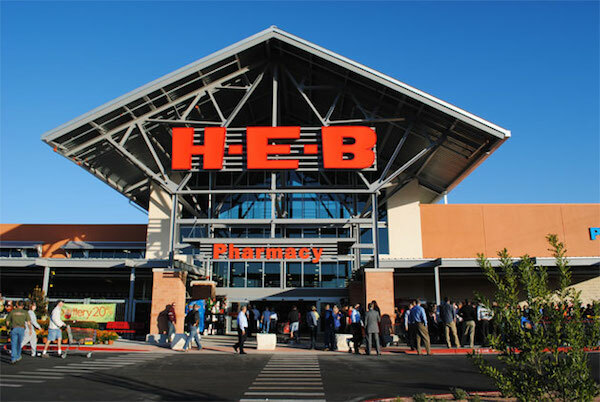 If any of y’all are from Texas, then you’re sure to be familiar with H-E-B grocery stores and you should get excited because H-E-B is now delivering to cities in Texas including Austin, Houston, Katy, Round Rock, and Spring. Their delivery service is provided through Instacart and offers delivery within 1 hour. Start shopping now on their website. Kroger has officially started delivering groceries through Instacart from 27 of their Georgia locations. 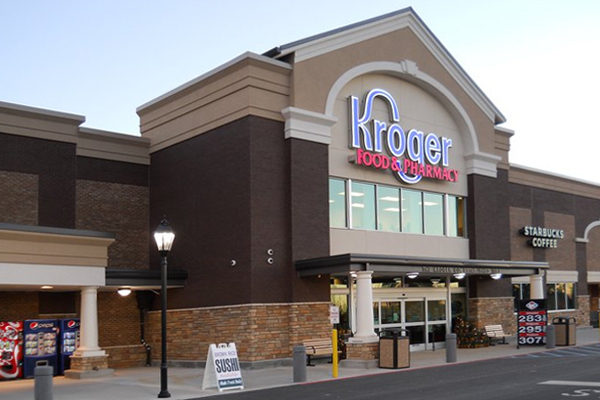 Find all of your grocery essentials at Kroger by shopping online and never leave the comfort of your own home.